This dermatologist-tested, simple-to-use system contains the acne-fighting power of salicylic acid to help combat acne breakouts. It also pampers your skin with fresh-scented botanicals like aloe, licorice extract, orange and tea tree oils. 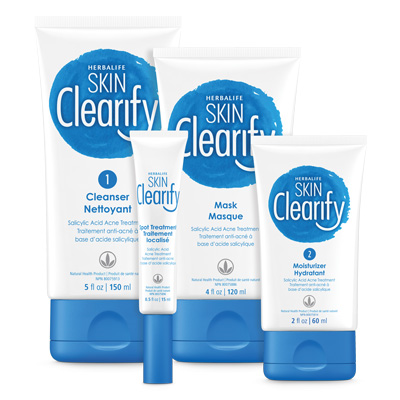 The Herbalife SKIN Clearify Acne Kit includes: Cleanser, Moisturizer, Mask and Spot Treatment.